-Methylation has become a hot topic in the functional health world with both good and bad information being presented everywhere. -Methylation is just one of limitless biochemical pathways that can be influenced by lifestyle and diet. -Although methylation can’t be fully controlled, we do now have plenty of evidence on how to positively influence it. -Genetic and lifestyle factors can inhibit your ability to methylate in the body. -Being a key feature of many crucial biochemical processes, impaired methylation can severely impair health, fertility, detox, neurotransmitter balance, DNA repair and much more. -We all have genetic variations, some significant, some not. Genetics may load the gun, but environment and lifestyle pull the trigger. In a society that is more focused on diet & exercise, weight loss, and physique rather than inner health building, and constantly seeking out the latest quick fix to feed our instant gratification addicted brains, we all too often fall prey to schemes that do not truly serve our health needs. Couple this with the paralysis by analysis created by an overabundance of good and bad information bombarding our cognition through stimulating gadgets permanently attached to our hands, we have found ourselves in the lowest quality of life and health ever, despite having the greatest technology ever. Makes sense if you don’t think about it. With the vast majority of our trusted Physicians offering us a pill to suppress our symptoms, or simply recommending the ever vague “diet and exercise” most individuals turn towards exercise, health clubs, and trainers to move us closer to the life we so desperately want. Having started my career as a personal trainer and nutrition coach at the age of 19, I do not think this is a wrong first step but DEFINITELY an incomplete one. Health, fitness, and physique are NOT the same things. Yes, they can and should go hand in hand, but unfortunately in modern society that very rarely occurs. Instead we are over medicated, under nourished, over stressed, under rested, and focus on losing pounds through sheer sweat and willpower with the help of our social media cheerleaders, meanwhile completely overlooking the bigger picture of INTERNAL METABOLIC HEALTH. You cannot and will not every be able to outsmart your body…believe me, I have tried harder than 99.9% of most. As my motto goes, we must work SMARTER and harder. Most health seekers, dieters, and weekend warriors alike have a general understanding of what is good and bad when it comes to nutrition. Real, clean food from the earth = good. Processed, chemically laden artificial food like material = bad. The more experienced may even go as far as to take some generic supplements while monitoring their macro-nutrients to hone in their nutritional needs. Although these are all good things to know, we must ask the more complicated questions such as, what about micro nutrient balance? Are my body’s systems even working properly? This is of course where Functional Health Practitioners, like myself, have stepped up to lead the charge in turning our health epidemic around. So, without further ado or tangents, let’s take a gander shall we? I trust we’re all familiar enough here with macro-nutrients (carbs, fats, proteins) that we can skip the first drink formality and jump straight into the raunchy body shots of science. So, whereas macros’ provide the building materials and fuel for our body, micros’ provide the tools to make all the biochemical reactions possible! Right? Right! Good, so then what is doing the actual metabolic work, you ask? Those cool, little enzyme guys! And where do enzymes come from? Think back to college biology days. Were you asleep during the lesson on transcription and translation? Ah, yes. Those marvelous double helices (have you seen my lovely logo) in our chromosomes contain the genetic blue print to create enzymes from amino acids. Without enzymes, life would not be possible. The body has thousands of enzymes that each play a specific role in promoting various pathways to facilitate all reactions in the body. Each enzyme needs cofactors to do metabolic work. You can think of it like a car being an enzyme, with oil and gas serving as cofactors. These cofactors are predominately the vitamins and minerals supplied from your diet and supplements. So, what happens if you don’t eat enough of a certain nutrient or your enzymes are not properly using said nutrient? The car don’t run! I think most of us health enthusiasts can appreciate genetic differences and how those differences affect our ability to build muscle, burn fat, and generally take over the world. These differences not only affect our external physique, but more importantly (up for argument…kidding) our internal health! Wildtype: a wildtype is the most common genetic sequence in a population. So, if 80% of us are rocking a specific gene sequence, then that is going to be considered the standard. Yes, this can shift over time through natural selection, or in our unfortunate case de-evolution. Fields of study like epigenetics and nutrigenomics are expanding our understanding of how environmental and nutritional factors can affect the expression of our unique genetic and enzymatic differences. Genetic science is some pretty complicated stuff, so this is very much the cliff notes version, but basically think of a SNP as a minute genetic difference. A genetic mutation could be a bigger alteration to DNA as a result from DNA damage, but for the sake of simplicity let’s just understand that if DNA is altered then enzymes are altered and the body’s ability to do chemical work is also then altered. Despite being 99.9% genetically identical, we're all genetic mutants to some extent, it's just that not all of us can be as cool as Hugh Jackman running around with super metal claws. -BRCA: a tumor suppressor gene that’s mutations have been linked to an increased risk of breast cancer. -SOD: an antioxidant functioning gene that’s mutations have been linked to an increased risk of neurodegenerative diseases, such as ALS. -APOE: an apolipoprotein producing gene that’s mutations have been linked to an increased risk of atherosclerosis and heart disease. How can one gene be linked to so many diseases you ask? To answer that we must dive a bit deeper into the underlying biochemistry. -Glutathione production: most have heard of glutathione as the “master antioxidant” of the body. Without adequate glutathione our cells are very quickly damaged by un-checked free radicals. Think of what happens when you bite into an apple and leave it sitting out for too long…what happens? The apple starts turning brown as it’s cells begin to oxidize and react with the air around it. If you leave it out for long enough it will begin to decompose on the counter. This apple has obviously been stripped from it’s life source, the apple tree, and cannot regenerate it’s cells or combat this oxidation. Fortunately, thanks to the methylation/transsulfuration pathways our bodies can indeed combat this “browning” and “decomposing” effect. -Phase 2 liver detoxification: the liver is responsible for the biotransformation and elimination of toxic chemicals in the body. To do this it transforms toxins into water soluble compounds that can be excreted through the kidneys in urine, in what is often described as a “two phase” process. -Estrogen metabolism: as if hormones weren’t complicated enough already, it gets even more tricky when we consider the different ways in which they can be metabolized. Estrogen metabolites vary in their protective and damaging properties. Methylated estrone is more protective, where as other metabolites, such as 4-OH-Estrone can damage DNA. Methylation function is therefore extremely important in influencing our steroid hormone balance that directly controls our ability to burn fat, build muscle, reproduce, and much more! -Nitric oxide production: methylation directly fuels the tetra-hydro-biopterin pathway which is chiefly responsible for the production of many neurotransmitters and nitric oxide. Nitric oxide is a potent vasodilator necessary for proper blood flow throughout the body. -Neurotransmitter synthesis and metabolism: just like nitric oxide, the methylation pathway directly fuels the synthesis and degradation of many neurotransmitters, such as: dopamine, norepinephrine, epinephrine, serotonin, and histamine. Many individuals with mental/mood disorders have impaired methylation pathways. This can include drastic conditions such as autism or something more mild like general depression, and everything in between. -Creatine and phosphatdylcholine production: creatine and phosphatdylcholine are the top two methyl group hoarders. A huge amount of our body’s SAMe (major methyl donor) is used up producing these two crucial molecules. Creatine is of course a primary source of ATP (cellular energy) production and phosphatdylcholine is a phospholipid that is a primary constituent of our trillions of cell membranes. -Cell division: methylation is a key pathway in being able to properly produce new cells. If disrupted the body literally cannot properly heal itself. -Gene regulation: methylation is the primary mechanism that allows our body to “turn on” and “turn off” genes. This can very quickly promote health and healing if working properly, or very quickly promote disease if impaired. -DNA production and repair: the folate cycle, a key piece of the methylation pathway, is responsible for producing DNA bases. Obviously without being able to produce DNA we can’t produce properly functioning cells! Literally every one of these functions could be its own full article, but that’s biochemistry for you! Now, just like any gene, there are variations that affect it’s function. The above chart shows the extensively researched MTHFR polymorphisms and their respective functional activity. As you can see someone with MTHFR 677 homozygous only has 25% functionality in the MTHFR enzyme. Let’s stop and think about that for a second…why don’t you scroll back up and re-read the functions of methylation and the conditions associated with poor methylation. Think about the potential risk associated with having the polymorphism in which you only have 25% enzyme function!!! It gets even better when you consider that it is estimated that roughly 50% of the population has at least one copy of the above polymorphisms (677 or 1298)!! I myself am heterozygous for the 677 SNP, meaning my MTHFR enzyme is only functioning at 70% capacity. See the screenshot from my personal genetic report below. This is a screenshot of one of my client’s most recent hormone tests. On this comprehensive panel, I can see how well a client is metabolizing their estrogens by looking at the downstream metabolite markers. In the above example, we see Estrone (E1) get hydroxylated to become water soluble and then is 2-OH-E1 in this case. This water-soluble metabolite is then ready for phase 2 liver detoxification by being conjugated with a functional group for excretion. This can be done through sulfation, methylation, and glucuronidation. In this case, we were looking at his ability to methylate his estrogen metabolites, and as we can see by the gauge it was quite low, meaning his overall methylation activity seems to be impaired. Now it’s not quite as simple as looking at the gauge shown, but his hormone panel did contain multiple clues to lead me towards the topic of impaired methylation. So, I then began to educate him on the basics of methylation and some of the key factors that can impair it. When I explained how genetic variations like MTHFR or COMT can cause low methylation activity, he informed me that he had done a genetic test that’s report said he might have a hard time processing folates….BINGO. MTHFR confirmed! But wait…there’s more! I also explained how nutrient imbalances, or the use of inferior chemical forms of vitamins can also “clog up” the pathway by competing for entry, such as folic acid. What was his multi-vitamin of choice you ask? Well I don’t want to bash any brands, but I’ll simply say that it is a common supplement brand carried at most supplement retailers. Note: the majority of vitamin supplements in stores are folic acid based. Most clinical grade products are carried through health practitioners (see my online dispensary for such therapeutic grade products). Estrogen dominance and mood disturbance symptoms were two of his biggest health complaints, and although methylation isn’t the end all be all, it is certainly a very important pathway that we now have the understanding to influence. It’s a significant piece to an endlessly complex puzzle that is the human body! Now in this client case we were literally just beginning our work together and investigating hormone balance, but we ended up finding much more to work on than just his hormones as you can see! 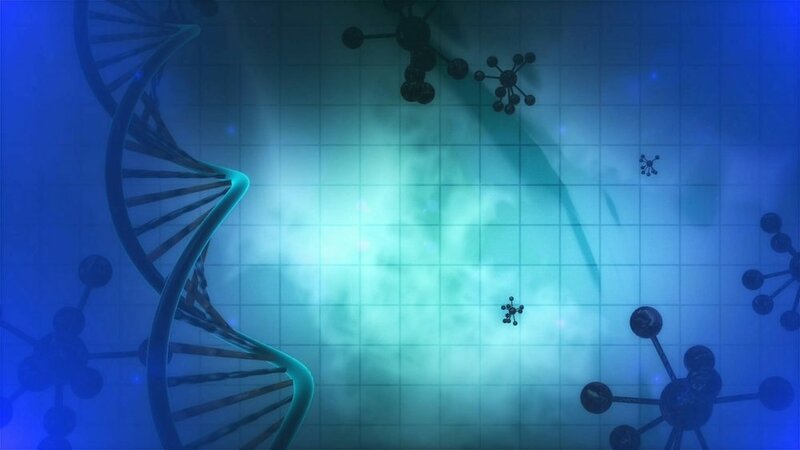 So now that we’ve covered all the basics of methylation, the next logical step is to cover some key recommendations that are well documented in improving methylation functionality. · EAT NUTRIENT-DENSE WHOLE FOODS: This really should be a no brainer, but obviously the better, more nutrient dense, and cleaner your nutrition, the better off all your pathways will be. Processed foods are often fortified with synthetic folic acid and contain chemicals and preservatives. · EAT AS ORGANICALLY AS POSSIBLE: As stated above, the cleaner, the better. The more chemicals, pesticides, antibiotics, and exogenous hormones you can avoid, the less you will be burdening your system. Keep in mind not everything needs to be organic! Some foods are more heavily contaminated. I HIGHLY suggest downloading the Environmental Working Group’s Dirty Dozen and Dirty Dozen Endocrine disruptors lists. The dirty dozen are proven to be more contaminated with toxic compounds and should ALWAYS be organic. For your convenience, I have included the link here. · EAT FOLATE-RICH FOODS (ESPECIALLY LEAFY GREENS): Uncooked leafy greens such as kale, arugula, collard greens, mustard greens, turnip greens, and romaine lettuce, as well as asparagus, broccoli, and avocados naturally contain high amounts of folate which can then fuel the methylation pathways, BUT only if the enzymes are working properly and if the necessary cofactors (vitamins and minerals) are also present. · CONSIDER SUPPLEMENTING WITH METHYLFOLATE (L-5-MTHF): Supplementing can help bypass the MTHFR mutation, by giving your body the end product of what it can’t adequately produce. Be sure to start low and work your way up based on how you feel. Dosing for L-5-MTHF is highly individualized and can be as low as 200 mcg to 10 mg per day. Many physicians that have some education on the subject will assume that “more is better” and prescribe mega doses, which can be extremely harmful (something I’ve witnessed firsthand). If you have a negative response (anxiety, irritation, agitation, nausea, palpitations, insomnia, rash, headaches), you may have another mutation affecting methylation. You can supplement with small doses of niacin for immediate relief, as niacin “soaks up” extra methyl groups. Giving methylfolate can stimulate the body to detoxify faster, so if supplements are not tolerated, consider working on detoxification to reduce the toxic load first. This is not something to be taken lightly and I highly encourage you to work with a Functional Practitioner with training in methylation and nutrigenomics to address. Contact me here to fill out a client application form. · SUPPORT DETOXIFICATION: Since methylation drives detoxification pathways you want to make sure to support these processes with nutrient dense foods, exercise, sweating, sauna, Epsom salt baths, drinking plenty of water, enemas, and other methods. · AVOID FOLIC ACID: Folic acid is a synthetic form of vitamin b9. Folates occur naturally in foods such as dark green, leafy veggies. Folic acid is often in lower quality supplements and vitamins, as well as many vitamin fortified foods. Folic acid competes for entry into the cells with more beneficial folate forms, such as methylfolate. Folic acid also has a 5x greater affinity for cell receptors, meaning it is more likely to be absorbed, however it is less bioavailable and can greatly impair the methylation pathways. Folic acid literally “clogs up” the methylation pathway! When new clients ask me if their pre-existing multi-vitamin is “okay”, the first thing I look at is the chemical form of vitamin B9. If it says Folic Acid, I throw it in the trash immediately. If it doesn’t distinguish the chemical form and merely says “B9” or “Folate” that also is a red flag. · CONSIDER SUPPLEMENTING WITH CREATINE AND/OR PC: As pointed out above, methylation produces methyl donors that’s resources largely get consumed in the production of creatine and phosphatdylcholine. By supplementing with these two nutrients we can GREATLY conserve our methyl donors for other functions that may be severely lacking, such as neurotransmitter metabolism and detoxification. · AVOID TOXINS: Many, many toxins can impair or burden these pathways. Heavy metals, pesticides, herbicides, BPA, and many more common toxins included. See the Environmental Working Group’s Dirty Dozen Endocrine Disruptors for more. Many types of toxins both endogenous and exogenous (from within the body or the environment) can speed up or slow down certain aspects of the methylation pathway. This goes beyond the scope of this article, but can very much make or break the outcome of a client’s healing progress. · AVOID DRUGS AND MEDICATIONS WHICH DEPLETE FOLATE AND/OR VITAMIN B12: Metformin, Methotrexate, Nitrous Oxide [aka “laughing gas”], acid blockers and antacids, and oral contraceptives. · MODERATE FOODS THAT COMPETE FOR METHYLATION NUTRIENTS: Green Coffee Bean and many teas can be very high in catechols, which require methyl groups to be metabolized, thus competing for nutrients. · AVOID ALCOHOL: Man I’m starting to be no fun, am I?! You’ll thank me when you are healthier than ever! Besides being a potent hepatotoxin, alcohol is high in histamine (which must be metabolized through methylation) AND acetylaldehyde which drastically impairs methylation and detoxification. I am human (sometimes) and drink on occasion (a few times a year), but always take extra nutrients to avoid this negative mechanism. · ADDRESS GUT HEALTH AND CANDIDA: “Address gut health” is very non-specific I know. Health truly begins in the gut and the GI tract is truly the foundation of our health. With that said, my point in listing it is to denote that working on methylation without also working on gut health is like cutting the grass while your house is on fire. Sure you’ll have a nice lawn…but that’s all you’ll have…other than a pile of ashes. Candida is a normal yeast that colonizes our GI tract and is responsible for the light white coating on our tongue. Go look at your tongue in the mirror right now. Is there a light white coating? Or a thicker, chunky looking coating? Candida is another topic that deserves it’s own article, but again in relation to methylation, it is an opportunistic yeast. Meaning that in an unhealthy gut environment it will grow out of control and can cause major health complications by itself. Yeast also releases tons of acetylaldehyde, which as I pointed out above directly halts the methylation pathways. This can literally cause an irritable, agitable, red/flushed, nearly drunken type demeanor. · AUTISM, DOWN SYNDROME, AND RECURRENT MISCARRIAGE: If you or your child(ren) fit into this category, it is very likely that the MTHFR (and possibly other key snps) are present. MTHFR can drastically increase the rate of these three conditions and with proper intervention can very much be positively influenced. The mechanisms go beyond the scope of this article, but it’s very much worth pointing out. Autism behavior can be nearly eliminated or greatly exaggerated depending on the function of these systems. Keep in mind that the genetic trait DOES NOT MATTER AS MUCH as the ENVIRONEMNTAL TRIGGERS and CURRENT STATE OF PHYSIOLOGICAL/BIOCHEMICAL FUNCTION. AKA “genes may load the gun, but environment pulls the trigger” and “genes are your blueprint, but not your destiny”. Although Methylation is a hot topic right now with many professionals jumping into the mix, we must keep in mind that the body’s biochemistry is extremely complicated and we do not fully understand all of it’s implications. Methylation is just one of many biochemical pathways and just because it’s what’s popular, doesn’t by any means that it should be focused on in isolation. With that said, there is more than ample evidence to support these suggestions to positively influence your health! As a Functional Health Practitioner with advanced training in Methylation and Nutrigenomics, if you or a loved one are interested in getting professional help, please contact me here.